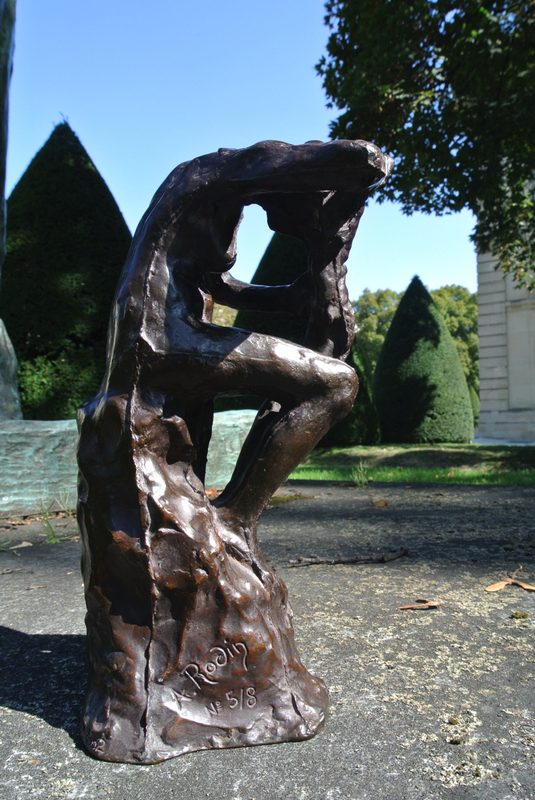 A certificate of authenticity, signed by the Director of the Musée Rodin, is given to every purchaser of an original bronze by Auguste Rodin. This small bronze, cast from a plaster original with very visible seams, probably represents the first phase of a work that was subsequently detached from the tall pedestal it had been placed on. Once removed, the figure was used on its own in many different ways, for example positioned against a plaster panel or attached to the neck of a small alabaster amphora. Combined with two other figures it became the starting point for a larger group, Jeune fille entre deux génies, or Les mauvais Génies, also exhibited in 1900. Its composition bears witness to the research Rodin had been carrying out on the geometrical structure of the human body; it perfectly illustrates the commentaries, published by Camille Mauclair in 1905, in which Rodin observes: "My art arises out of architecture and geometry. A body is a building and a polyhedron." Goodbye Berlin, hello Los Angeles!